2019 PCG Aptitude Battery Test Schedule #CoastGuard - Exam News, Reviewer, Military Career, & Everything [MN] . .
Manila, Philippines - The Philippine Coast Guard (PCG) will announce soon the upcoming nationwide and massive Aptitude Battery Test schedule for CY 2019. The PCGABT will be conducted for all qualified applicants. Exam venue and dates will be posted here once available from PCG. Application forms must be submitted personally by the applicant to the designated PCG recruitment center for initial screening and actual examination day. On the day of the examinations, prospective applicants are instructed to come in casual attire, bringing with them a ballpen and a pencil as well as the initial requirements like the NSO issued Birth Certificate, Transcript of Records, Diploma, 2 pieces of 2x2 ID pictures and PRC license for those who aspire to the commissioned officers position. Those who pass the initial screening are to take the PCG Aptitude Test, and those who pass can be a step closer to realizing their dreams. 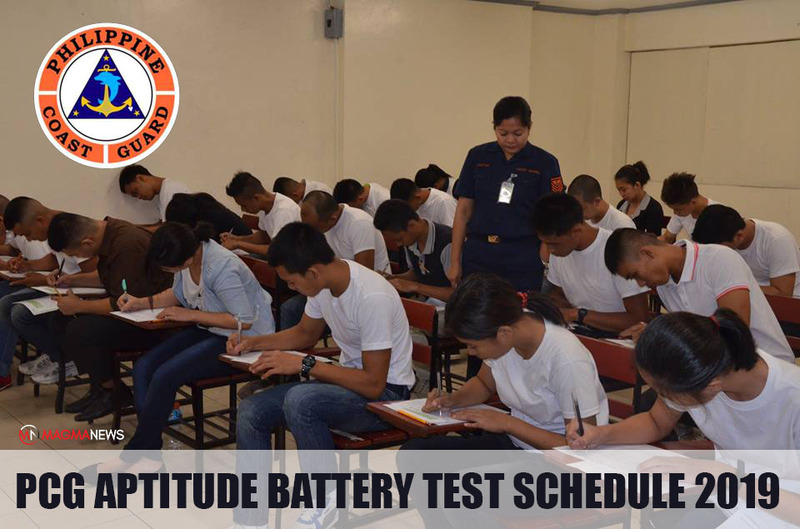 Do you have what it takes to become Philippine Coast Guard? Join now and make a difference!